Just before this storm hit the tempuratures tarted dropping. I noticed the horses laying down in the sun to stay warm. Toward the early evening Andy noticed that Sadie was struggling to get up. She could not get up. We went out and found she was chilled. She was not able to put any weight on the left rear leg. We called out friendly vet tech friend Kim for advice. 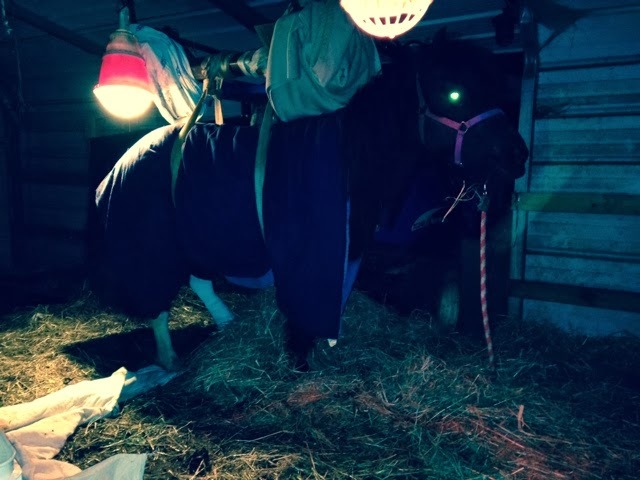 She had us move her into the barn and put heat lamps and blankets on her. We got her hydrated, but could not get her up. 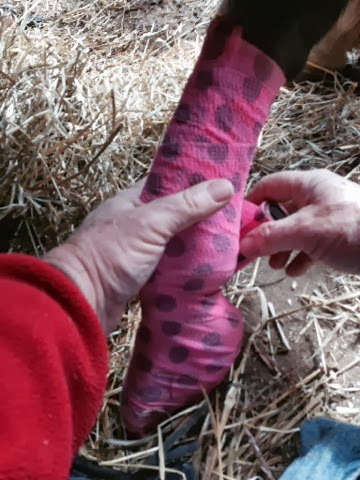 When Kim arrived she confirmed that the fetlock joint was indeed broken. 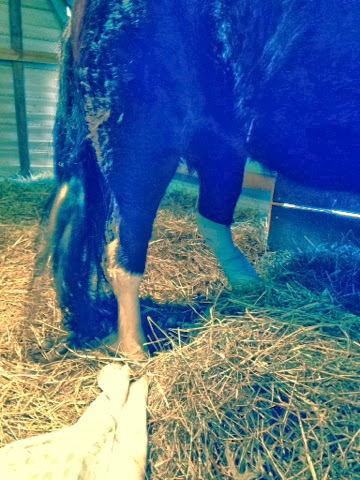 She aligned the leg and splinted it, and we started treating for bloat. We got her up in a sling arrangement with the tractor. The next morning we took the sling off and she stayed up for 24 hours before lying back down. After resting she tried to get up again with no success. So we used the tractor to get her up again. 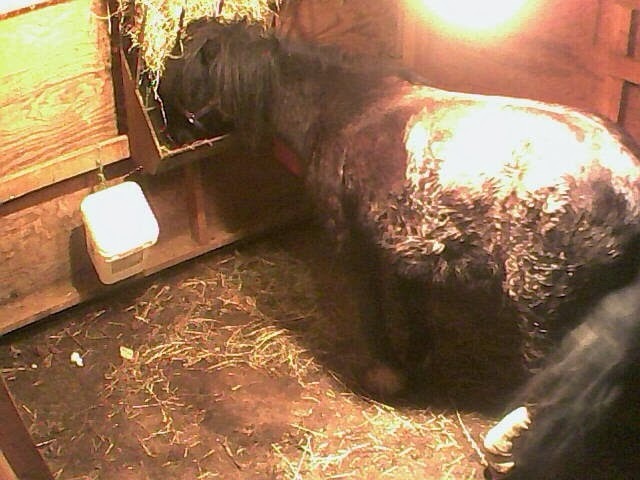 This time Andy and I supported her hind end and walked her in the pony barn. 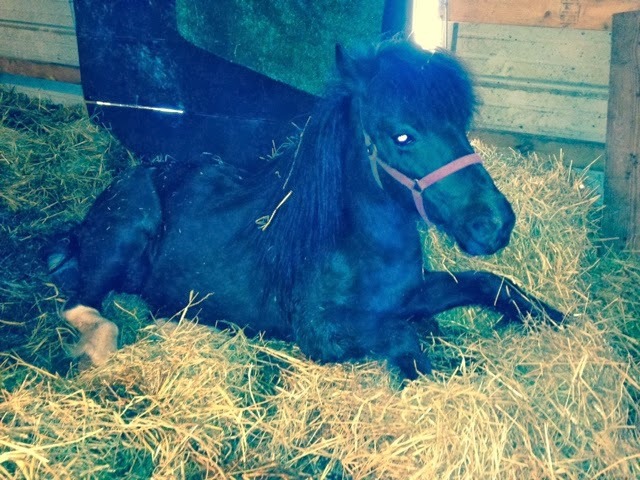 We put one stall mat in place and tried to move her to put the other one down. At that point I think se was tired and wanted to sit and took the opportunity to do so. The next morning Kim and Jeff came over and re-splinted her. We got her up again, eating, drinking, pooping, peeing. Bloat was not so bad this time. 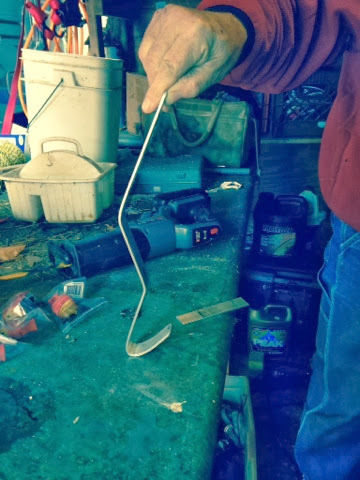 We discussed the next splint and how to fashion it, and this morning Papa John went out in search of the materials to fabricate it. He bent it to match her current contour. And padded it and wrapped her up. 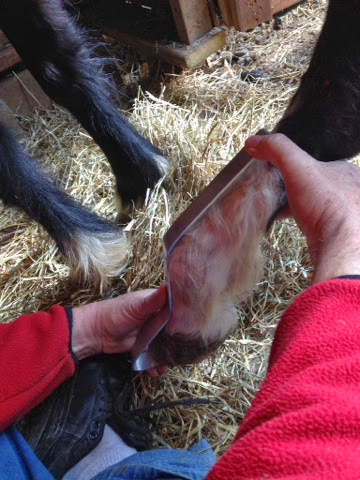 As she heals we will straighten the bend so that it slowly gets flexed back to it's previous position. So much improvement already!